Maintaining an up-to-date reference library is no simple task for most primary schools. The internet is too often the first port of call for current facts and figures, yet many of the sites are unsuitable for the age group or simply plain unreliable. 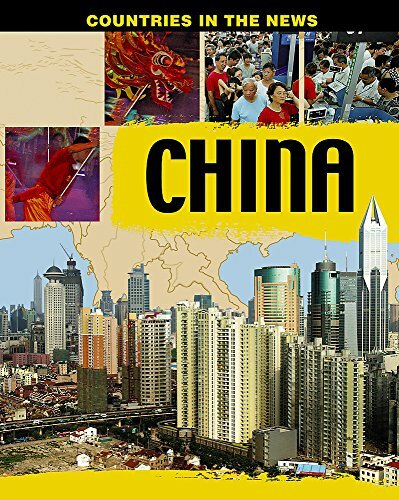 Watts’ ‘Countries in the News’ series provides accessible information on a range of world hotspots, and this volume on China presents a portrait of a nation that is facing huge challenges as its population expands. The emphasis is on the current issues faced, although brief explanation of the historical background helps set the changes in context. Throughout there are boxes to highlight particular issues for discussion, such as the one-child policy for example, employment and environmental problems or the status of Taiwan. The book also includes a useful timeline and key facts and statistics, as well as a range of website addresses. It should prove a valuable addition to a school or classroom library. Pair this with Arts and Crafts of Ancient China to fill in the background on the arts and to gain an understanding of the skills and techniques used by potters, metalworkers, painters and craftsmen in Imperial China. The text describes different materials used, from precious stones and metals, jade and porcelain to the techniques used in lacquer ware, silk weaving and papermaking. Four practical activities are included to augment the text, none of them especially sophisticated, but they would be appropriate and relevant for project work. A sound, if slightly old-fashioned, activity book to support topic work.